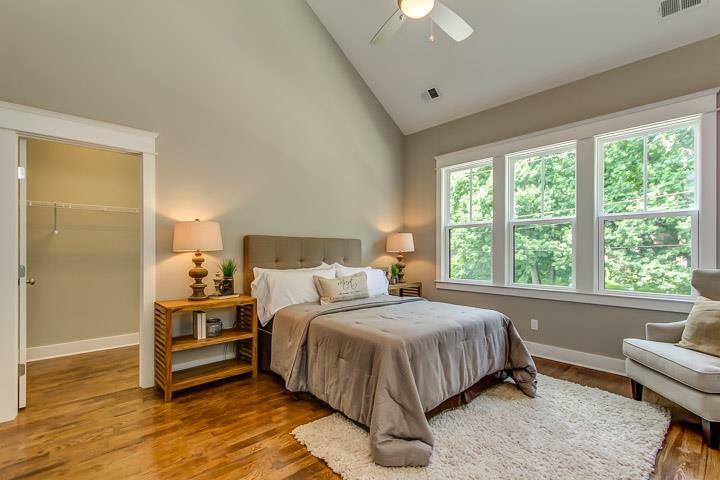 We’ve talked/written a lot about first-time homebuyers here, but one group of Nashvillians we’ve given too little attention toward on our blog: first-time sellers. There’s an intimidating learning curve as a first-time homebuyer, and although you tend to feel a little more real-estate savvy after that first purchase, the first home sale brings its share of confusion too. You’ve never listed and shopped for a home at the same time. You’ve never juggled the complex financial considerations of a home sale. 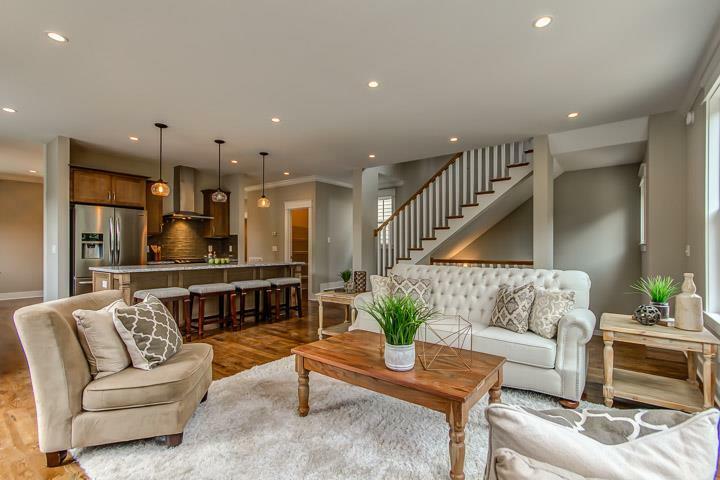 You’ve never been on the owner side of home showings, and had to keep a place showing-ready all the time. It’s a lot, and we totally get it. The most common concern we hear from first-time sellers, though, probably has to do with repairs and www. What should we focus on? How much should we spend? Do we have to do major upgrades to get the best price? It’s a big conversation, and we’re happy to have it with you, and give the best advice we can based on your individual home, and your individual situation. Every home sale is different, and so is the advice we give about prepping for one. There are some common threads, though. More often than not with first-timers, budgets — both of the time and money kind — are tight. So below, we’ve collected a few pieces of basic first-time-seller to-dos. These are all things you can do that’ll make your home much more appealing, and much more likely to sell quickly, but none of them are major changes that’ll set you back major amounts of money. You don’t need to tackle them all. Just think about which apply in particular, and prioritize. This one you probably assumed, but you might be surprised how few first-time sellers take on the task. A fresh coat of paint is like a magic wand to a space — everything looks clean, fresh and new, with relatively minimal effort and expense. While it can be costly and time-consuming to paint the whole place, you should at least consider a few key spaces. If you have rooms with really personal color choices — particularly if they’re bold or dark, especially if they’re any kind of faux finish — focus on those, using a light, bright, neutral color. And if there are no particular trouble spots, focus on the major initial eye-grabbers, like the kitchen and living area. It’s funny, but one of the best things you can do to make a home more appealing to buyers is often taking away, rather than adding something new. Clutter happens to the best of us, from furniture to knick-knacks. But putting your home on the market is a good excuse to whittle down. If you have large furniture pieces in a not-large space, simplify — too much/the wrong scale of furniture can really shrink a room. As a guideline, shoot for about three or four big pieces in each room. A couch, coffee table and maybe a console or chair in the living room. Bed, bedside table and one dresser in the guest bedroom. You’re aiming to let the space breathe as much as possible, while still giving it some personality. If you have outdated or damaged furniture, ditch it if you can (even if you have to rent or borrow a few pieces). You might think that prospective buyers don’t care about your cat-scratched easy chair because they won’t be keeping it, but it creates a vibe that’s a quick turnoff. You want buyers thinking clean, easy, new-home thoughts, not about what else your kitty might’ve done to the place. Light fixtures have such a profound effect on a space, either good or bad. Funny thing is, though, with all the decor power light fixtures have, replacing them truly isn’t a huge project. 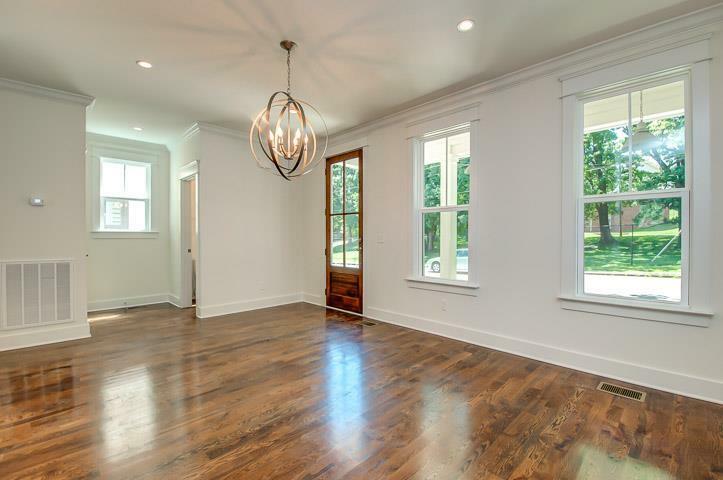 We won’t encourage you to DIY it unless you have experience dealing with wiring, but an electrician won’t charge you a ton to replace a chandelier or a few pendants. And in the Internet age, finding stylish, current fixtures for very little money is simple. Try the sale sections at Lamps Plus or another online retailer, and look for simple, classic options. 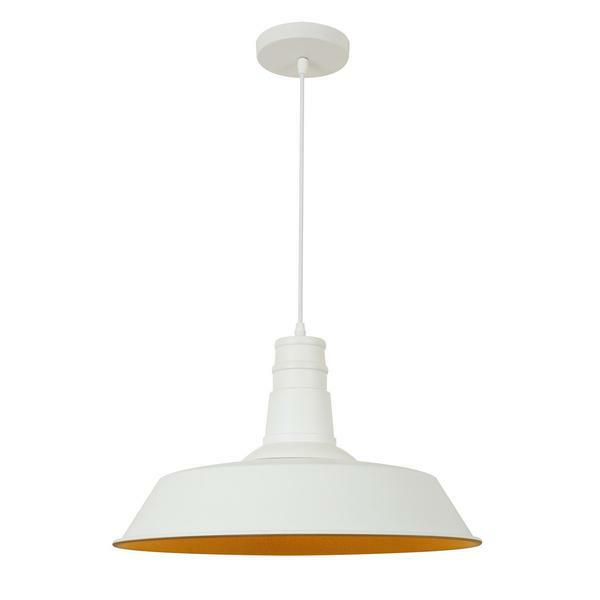 We like Poly + Bark a lot; if you have a hideous fixture over your dining table, this super-simple Stafford Pendant is $74, in white and black, easy to like and hard to be put off by. Like the cat-scratched chair, old linens have a surprisingly strong effect on a home’s first impression. This is a good excuse to hit a place like TJ Maxx, with a reasonable budget, and freshen up the beds and baths. Grab some bright towels for the towel rods/robe hooks, and maybe fresh white quilts/duvets for the beds. It might feel like an unnecessary expenditure, but it makes a big impact, and you can bring it all to your new place so your guests have fresh linens (something guests always seem to appreciate). Another small but impactful change. If your window treatments are particularly taste-specific or are particularly worn (or aren’t even there), invest a little in some fresh curtains. Shops like World Market that have sales all the time are usually a worthwhile way to keep the “little” as little as possible. Something like the above would set you back $29.98 for a set of two panels, before any sales. 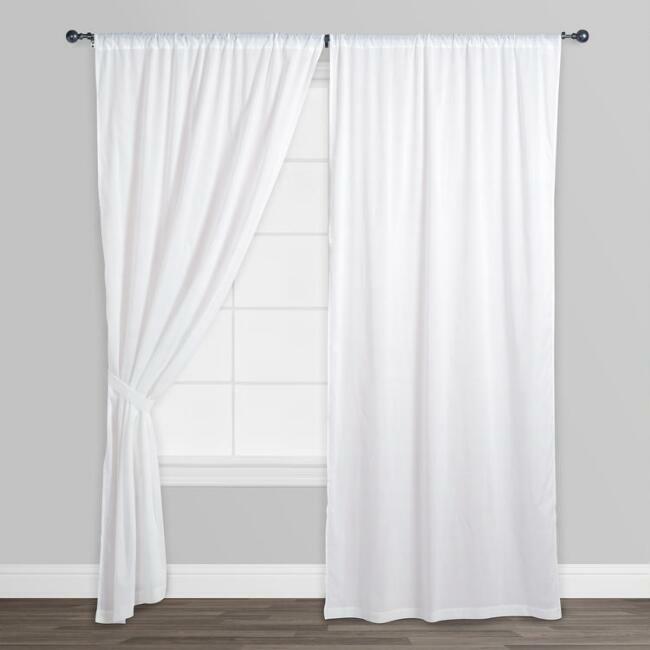 Another worthwhile curtain trick: If you have a not-so-spectacular view, some sheers can keep the sun coming in, but obscure whatever uninspiring thing is on the other side of the window. Good old-fashioned elbow grease doesn’t cost much but time and a few muscle aches, and it’s the single most impactful thing you can do. But this means top to bottom — windows, baseboards, inside your appliances… leave no dustbunny unturned. If you really can’t square away the mega-cleaning time, hiring a service for a move-in/move-out cleaning really isn’t that expensive, and is well worth it. Remember when you were shopping for your first home? How you opened everything? Yep, it’s always the case. So don’t neglect your closets, medicine cabinets and other storage areas, like the garage. You don’t have to empty them (in fact you shouldn’t); just declutter, clean and arrange with a reasonable amount of stuff. Stuffed and dirty closets make people feel like the home doesn’t have adequate storage, and just all-around tends to turn people off. Hope these tips give you some worthwhile things to think about as you get ready to sell your home. If you’re in the Nashville area and could use some more personal help as you get ready to list, give ACRE a call or send us an email. Our online form is an easy way to get started toward selling your home in Nashville too. And let us know if you have any questions — we’re always happy to help!